Do you think if your company was losing $214 million a year that your bosses would be handing out lavish bonuses? Well, you might if you work for a failed government agency like Amtrak because that is exactly what happened last year for the federally subsidized rail service. So, despite Amtrak failing to make a penny, despite that it lost $214 of OUR tax dollars, Amtrak employees were the happy recipients of big bonus payments in 2014. Employees of Amtrak, the publicly-funded railroad service, earned themselves a round of bonuses because their agency only lost $214 million last year. 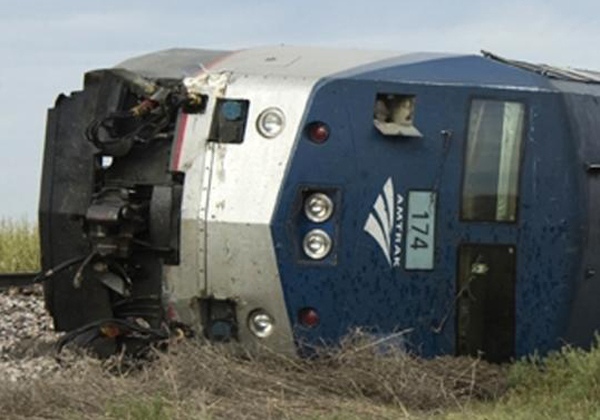 …Amtrak handed out $11.2 million in bonuses as part of a short-term incentive program, which was designed to reward staff if they managed to keep operating losses under $305 million in 2014. The other half of the incentive program would have seen millions in additional bonuses showered on employees had they been able to satisfy 84.25 percent of their customers. Amtrak has been a huge waste of tax dollars for decades. If Amtrak can’t exist on its own it shouldn’t exist at all.